Follow me on this whistle stop photo walk through Bristol. My friend Christine who lives there showed me around the city in just one day. 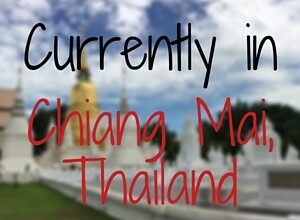 I got a very good feel for the place, although there are many more things to see and do if you have the time. 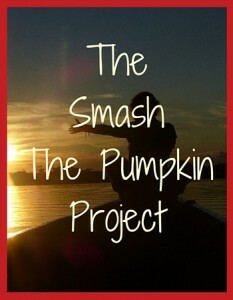 If you enjoy this article and you would like to follow the route or try something similar for yourself in another town, you may enjoy the Smash the Pumpkin Project. This is a series of challenges which are emailed to you at regular intervals and which encourage you to get out and to explore. You will explore your local area, diverse cultures and customs further afield and you will explore yourself too. But now, let us continue with our photo walk through Bristol. We began at the top, geographically speaking. The Clifton Suspension Bridge is based on a design by Isambard Kingdom Brunel was completed in 1864. If you went to school in the UK you will know all about this historic man who changed the face of the British landscape with his feats of engineering. The Clifton Bridge stretches high across the Avon gorge is the perfect starting point for a walking tour. Wander across on the pavement and back again for stunning views of the river Avon and the majestic cliffs which loom out of the gorge, and feel the roadway shudder and shake just a little as the cars cross over it. Stop by the visitor centre and learn more and maybe join in with one of the many events which the bridge hosts. Meander downhill from the Clifton Suspension Bridge through the sophisticated neighbourhood of Clifton and pause for a drink in one of the chic coffee shops or browse around the little independent shops which are tucked away down arcades and side streets. Cross the road at the large junction in front of the Victoria Rooms with its columns and stylish fountain. This Regency building contains the music department of the University of Bristol and the smaller, no less impressive building on the other side of the road houses the Royal West of England Academy. These university buildings host many concerts (often free) so if you have the time, do stop by and find out what is on offer. Continue to stroll downhill and poke your head inside the Wills Memorial Building which towers above the pavement. This impressive tower which was constructed with money from the tobacco industry houses some of the Bristol University’s faculties. If the sun is shining peek into the courtyard via the inner hallway and see the students chatting and studying in the garden. After the tower, cross the road opposite and and see if you can spot the grandly named, but sadly not so grand a location of There and Back Again Lane which is halfway up the hill. Keep on going, up and through the park of Brandon Hill towards Cabot Tower. This is one historic building which is not occupied by the University! It was built to commemorate the 400th anniversary of John Cabot’s journey from Bristol and his discovery of Canada. If the tower is open climb the spiral staircase inside for some spectacular views of the city and the Clifton Suspension Bridge. Continuing on our photo tour through Bristol, we walk downhill through the park and in the direction of the town. Here you are very likely spot some grey squirrels playing among the trees. It is all downhill from here on and you can stop and look around in the Georgian House Museum. This house was built by a wealthy sugar plantation and slave owner and has been refurbished in the style of that period. Just opposite the Georgian House is St George’s. Originally built as a church, it is now a concert venue. You will arrive in the city centre near the impressive crescent shaped neo-Georgian City Hall which is fronted by a large water feature, fountains and flag poles. On the other side of College Green is the Cathedral. It really is worth taking some time to explore the quite grand and atmospheric interior. Motes of dust dance in the shafts of sunlight and it is a wonderful mix of gothic darkness and experimentation with colours and styles. Then it was over to the Harbourside. Here you have a myriad of choices of things to do and to see and Christine tells me that there are often outdoor events and street theatre in these spaces. Millennium Square with the water features and the shiny silver ball is perfect for people watching. Cross over the river and if you haven’t already paused, maybe rest for a while at one of the bars or restaurants. I am going to leave you now at this point but I have only touched on a tiny bit of the heritage and culture that is Bristol. A prosperous port, it has developed into a diverse, modern city but it has retained its striking, historic architecture. With good food, shops, live music and many museums and events there is something here for everyone. It is easy to access and sits on the crossroads of the M4`corridor between London and Wales and the road from Cornwall in the south to Birmingham and beyond. There is so much to see and to do in Bristol. One event worthy of its own footnote is the Bristol International Balloon Fiesta. This even attracts thousands of spectators each year who flock to get up early at dawn or wait around to see the ‘night-glow when all of the balloons fire up their burners for a great display. And if I have whetted your appetite and demonstrated how to view the best in any town or city near where you live, do visit the Smash the Pumpkin Project and find out what challenges will encourage you to get out and explore.